The storm had another dramatic, and revealing, effect. It left Kapiti’s beaches smothered in a deluge of debris, washed down streams and waterways swollen by the heavy rain. This debris is largely driftwood, which may look a bit unsightly, but is otherwise harmless. However, scattered amongst it is a chillingly large quantity of plastic and other rubbish. When the kids and I visited the beach this morning to collect sea shells to identify using Andrew Crowe’s excellent “Which Seashell?” guide for children, we had an unpleasant surprise. While combing just a small distance (not more than 50 metres) of the beach for interesting shells, we collected a mass of plastic and other rubbish: numerous plastic bottles, drink cans, a champagne bottle stop, a huge piece of plastic sheeting, bright orange netting, a tyre, and plastic bags. It seems, from this casual encounter with a small section of beach, that New Zealanders are making an impressive contribution to the Great Pacific garbage patch, the massive circle of waste in the Pacific Ocean, which is reputedly the size of Texas. 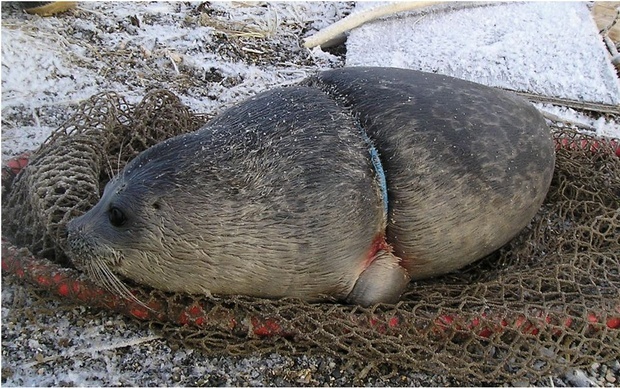 We are also helping to ensure that marine life such as seals, birds and turtles are faced with the real possibility of being choked or strangled to death (most likely slowly and extruciatingly) by plastic debris. 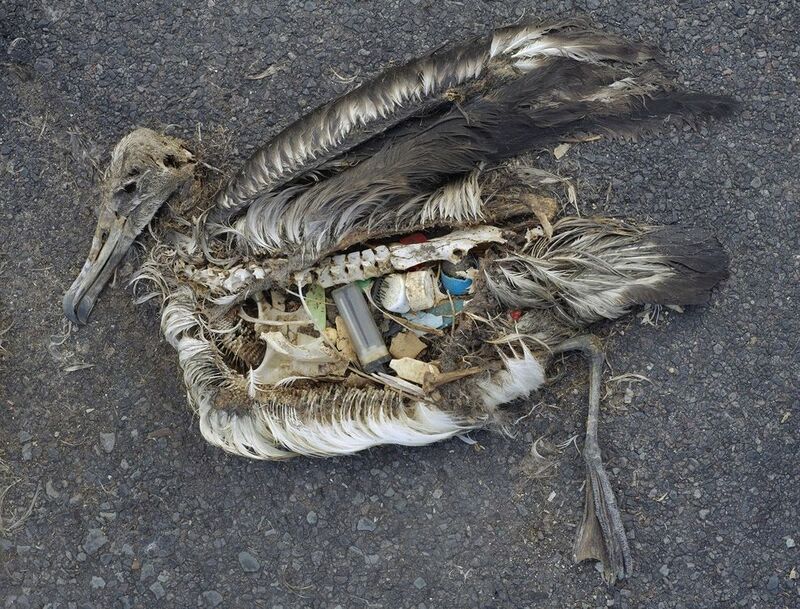 The stomach contents of this albatross include plastic marine debris fed to the chick by its parents. Photograph by Chris Jordan, U.S. Fish and Wildlife Service. This file is licensed under the Creative Commons Attribution 2.0 Generic license. There is nothing we can do about a storm – this is beyond human control. However, we are entirely in control of the rubbish we throw away, and allow to be washed into waterways and out to sea – with its devastating effect on sea life. It seems to me that it is time we took that control firmly back into our own hands. 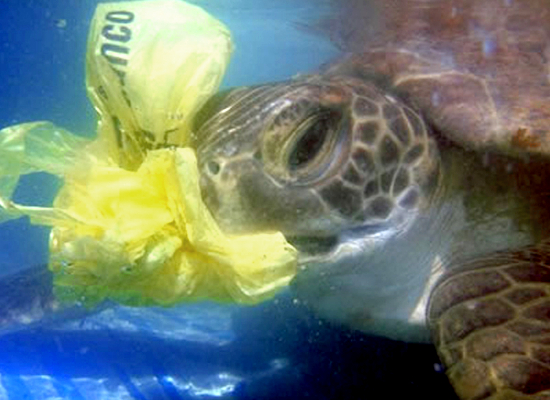 To find out more, read this informative article about the Great Pacific garbage patch on the National Geographic website. Next Article Was the little German owl really a ruthless killer, or was this a case of ‘ecological racism’? It is hard not to feel overwhelmed by the scale of the plastic waste issue. The ‘weather bomb’ in Kapiti has brought the issue into sharp focus. Perhaps there are others out there gathering this unnecessary and harmful material. I hope so. There are people who are deeply and actively concerned about this and related issues. There are people who could make a difference with significant positive impact but don’t think it is important enough compared with such priorities as pleasing shareholders, protecting the growth of business. If the facts of what is happening to the planet on which we live, have not and will not change them What is left other than disaster and tragedy?